Learning a new language is not an easy task, especially when the language involves characters so different from the English alphabet. Japanese is one such example. 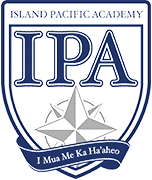 ISLAND PACIFIC ACADEMY Japanese teacher, Sayoko Minami, has been exploring different teaching strategies to help students master this challenging language. 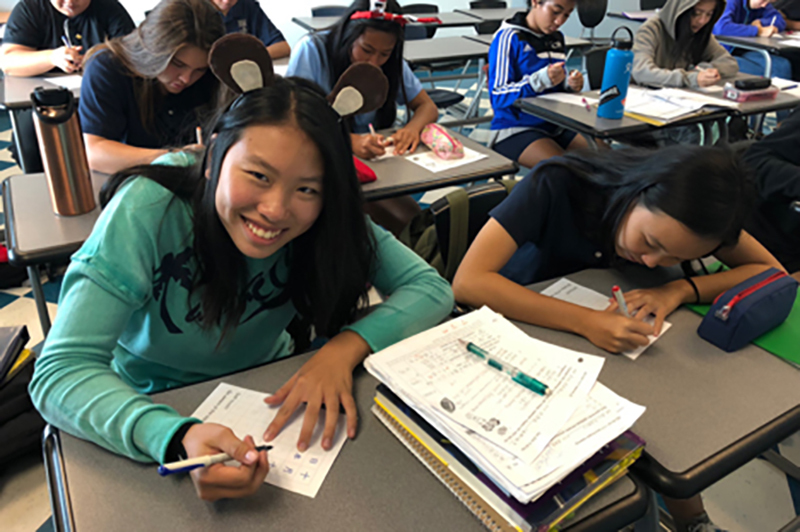 Recently, Ms. Minami introduced Grade 9 and 11 students in her Japanese classes to the art of brush pen calligraphy as a way to help them learn different kanji (Chinese characters) in their language studies. In Ms. Minami’s class, the students learned the key points of calligraphy, such as upward brushstrokes, stops, and sweepings. After practicing the basics, the students then traced sheets of different kanji. As the students are learning many new kanji, writing them in calligraphy was good practice for them to be mindful of how each stroke is formed. The use of brush pens has increased in popularity, especially among adults in Japan, to improve hand writing and/or concentration through writing. Traditionally, brush ink only came in black, but the newest inks now have various colors, and many people post their calligraphy on social media, such as Twitter and Instagram. Aubrey Ramsbottom (’22) and Taylor Ng (’22) practice their brush strokes. Kristin Chun (’22) enjoys learning brush ink calligraphy in Ms. Minami’s class. All of the students were intently focused on writing neatly. Mika Okano (’20) shows off her calligraphy work.